Please use the menu at the top of each page to find your way around. 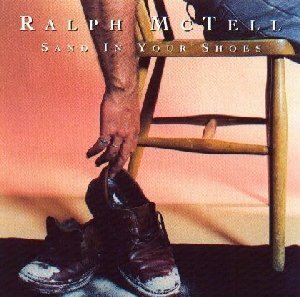 On this site you will find Articles, Reviews and Interviews on Ralph McTell and his music, and a comprehensive Discography. Please let me know if you have any articles, interviews or reviews from publications such as Melody Maker, Sounds, New Musical Express and Folk Roots, or any stories from the national and local press. 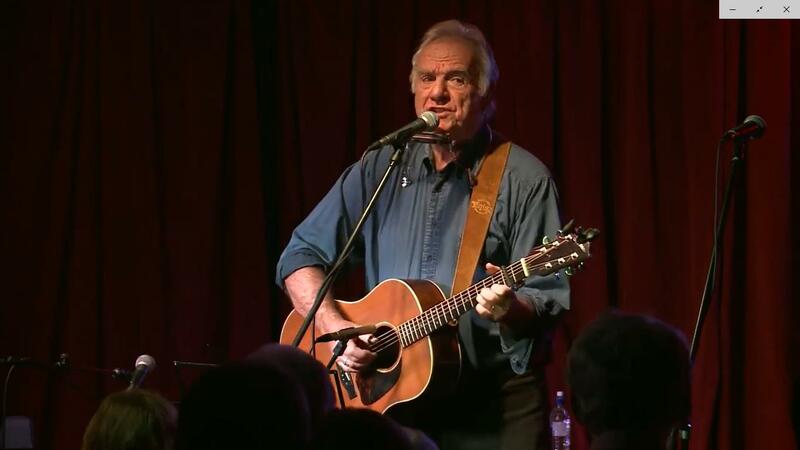 If you would like to add your own Fan's Review of a Ralph McTell concert you have attended, or of a favourite McTell album, please email it to me and I'll add it to the appropriate page. I try to keep the Tour News page up to date. Please feel free to leave a message on the Guestbook. You can also use this to ask any questions on Ralph's music or recordings - if I don't know the answer, I probably know a man who does! Stan and Ollie dance on this page because Ralph is a big fan! 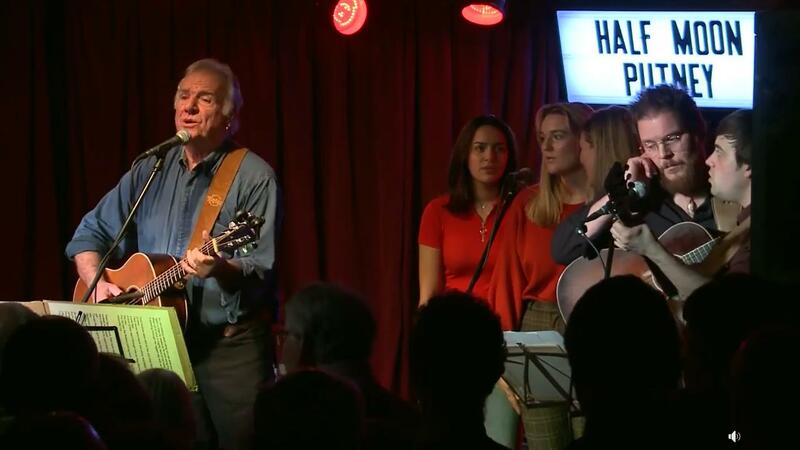 Ralph's 2018 Christmas Benefit Concert at the Half Moon in Putney was in aid of the Streets of London charity, which works with homeless people in the captital and is named after Ralph's song. The concert was streamed live on Ralph's Facebook page. For information on Streets of London, and to make a donation, see the charity's website. 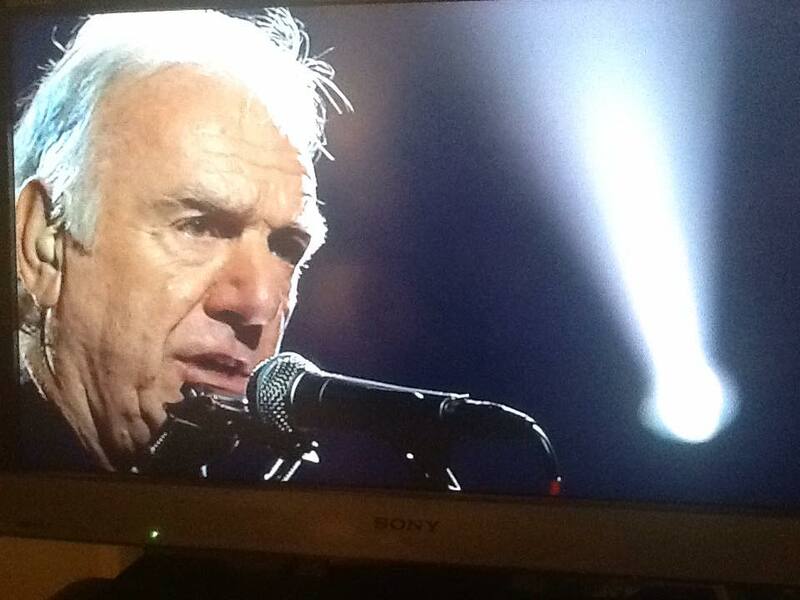 Ralph on "Later... with Jools Holland"
Ralph made his debut appearance on BBC Two's "Later... with Jools Holland" music show on Saturday 29 September 2018. 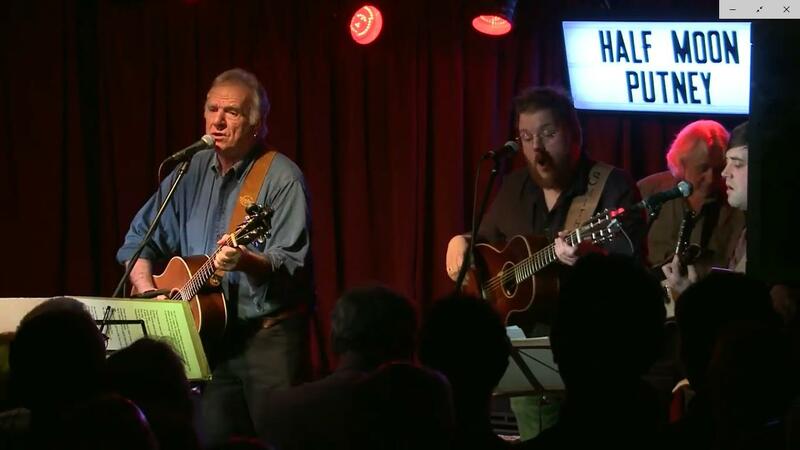 He sang "Nanna's Song" - the first track on Ralph's first LP - and "West 4th Street and Jones" - which is expected to feature on Ralph's forthcoming new album. 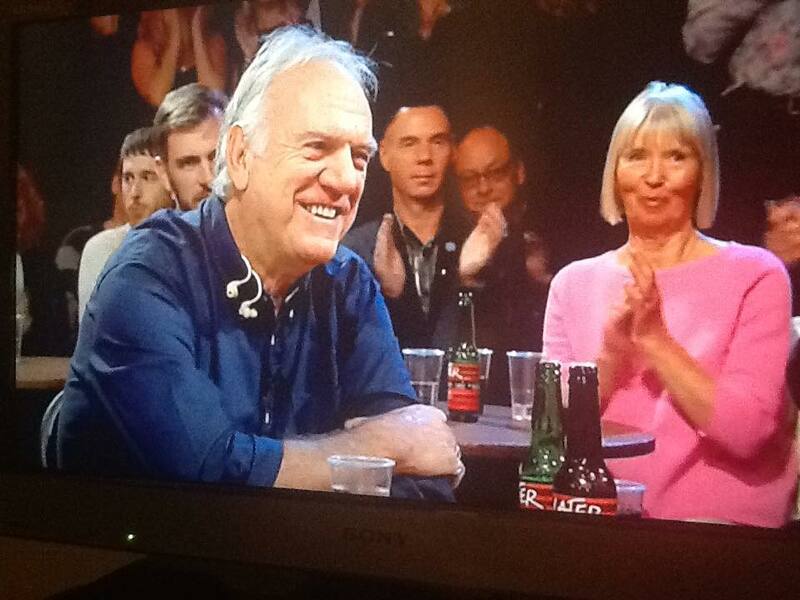 Ralph's wife Nanna was in the audience. 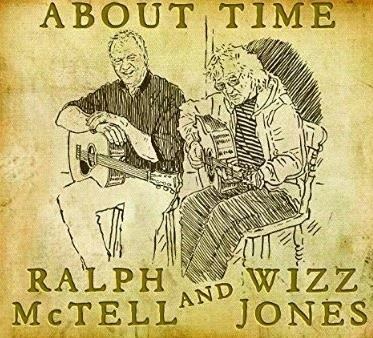 Leola Music has issued a double LP of Ralph and Wizz's two "About Time" albums. 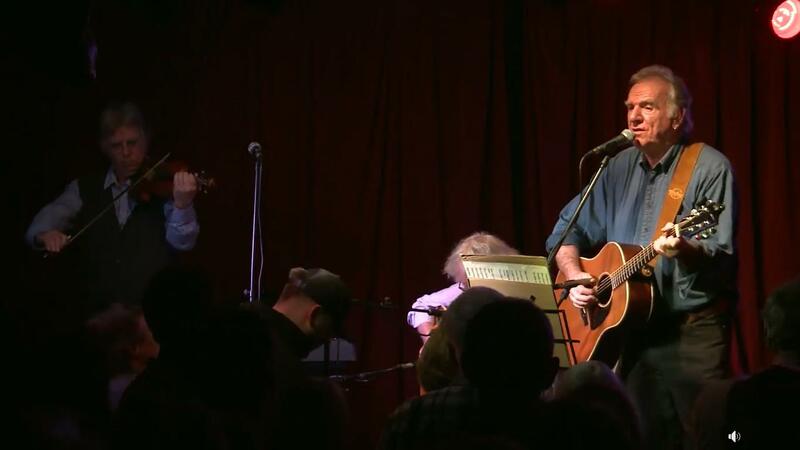 "And About Time Too" was issued on 13 June 2018 at the first gig of the 'About Time Too' tour, and was made available from Ralph's webshop on 26 June 2018. 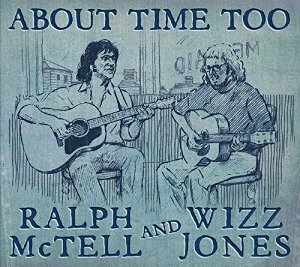 "And About Time Too" is a limited edition double vinyl release of Ralph and Wizz’s albums About Time and About Time Too. 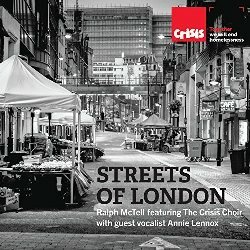 New version of "Streets of London"
Ralph invited a choir from the homeless charity Crisis at Christmas to sing "Streets of London" with him at his London Palladium concert in October 2017, and they have recorded Ralph's iconic song with guest vocalist Annie Lennox. The single is available as a download from iTunes and other download sites; and as a CD single from Townsend Music. All proceeds go to Crisis to help support some of the thousands of people facing homelessness. Crisis has made a You Tube video to promote the release. 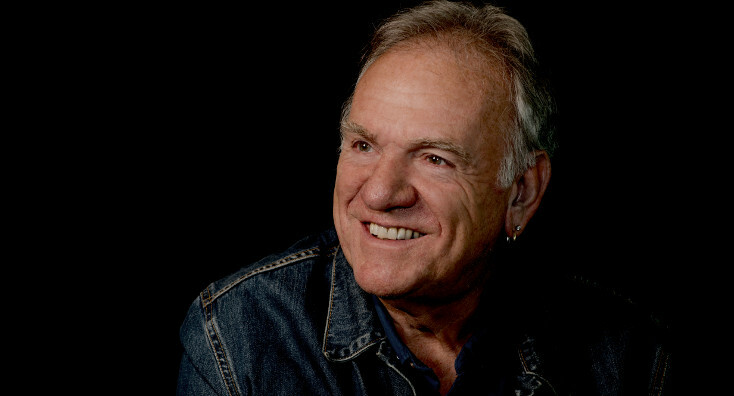 In September 2017, John Beresford sent round an email about a new biography of Ralph McTell, Parallel Lives: The Biographies of Ralph McTell. I say new, but, actually, it was the second edition of a book by Mike Grenfell, a writer, musician and academic. John had initially reviewed the first edition and had been invited to act as copy editor for the second. He had also visited Mike in the New Forest to film an interview with him as a sort of trailer for the book. I watched the video of this included in John’s email and was curious. Mike came across in the interview like the scholarly professor he was and I began to wonder what the book was actually like. I accordingly got in touch with John to ask if the book is a 'good read' or an 'academic exercise'. What he said was: If social philosophy is your thing, it's both. If you'd prefer a chatty coffee table book, it's not for you. Not to be put off, and as a fan of Ralph’s and someone of an age with both Ralph and John, I bought a copy and read it through from cover-to-cover. I was not disappointed. The book is clearly an academic exercise, and the language used reflects this, which is a bit of a pity as writing should be about communication. This could put some people off and, I would have thought, is arguably unnecessary. But if you can rise above that, you should be amply rewarded. The concept of Parallel Lives works on a number of levels: Ralph and the author, Ralph and his contemporaries and musical and artistic heroes, Ralph and the major figures of his time and generation – and even Ralph and you, the reader. It also addresses the relationship between Ralph and the characters he writes about in his songs. All this is approached from several angles: the historical context of Ralph’s personal life, his birth and formative years – the normal journalistic approach in biographies -, his artistic influences and the important political and social events going on around. Numerous comments and observations by Ralph are included and it’s clear that Ralph himself was surprised where Mike Grenfell’s analysis was leading. If you get the book and read it right through as I did, I’m sure you should be too. You may not have been through the exact same experiences, but you could well recall the same historical events. You may well end up, as I did, with an even greater appreciation of Ralph’s work and a better understanding of your own position and how you got to be where you are today. Reviewed by Peter Landon, November 2017. 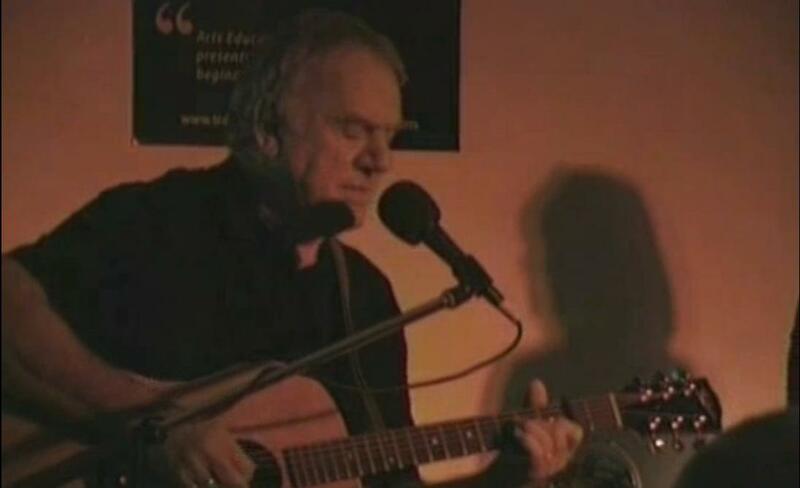 Parallel Lives: The Biographies of Ralph McTell, Second Edition, by Michael Grenfell, is available from Pomera Press. 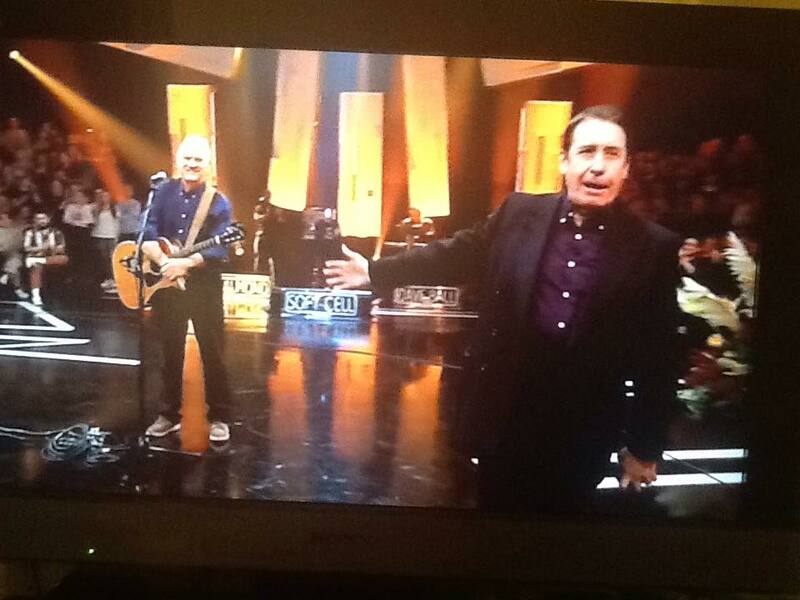 Ralph and Wizz have recorded a follow-up to "About Time", their celebration of a fifty-year musical friendship. 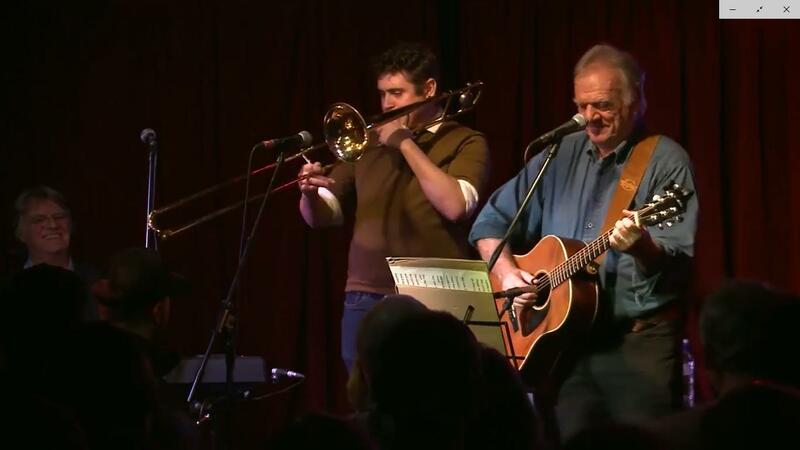 Ralph and Wizz launched the album with a concert at Cecil Sharp House on 15 November 2017. "About Time Too" is available from Ralph's webshop. The two "About Time" albums were reissued as a double LP (yes, vinyl!) during Ralph and Wizz's "About Time Too" tour in June 2018. For details see And About Time Too. A few complete Songs For Six Strings box sets, with all six CDs, were available at Ralph's 2017 Autumn Tour concerts... and were soon sold. The box for the Songs for Six Strings box set, catalogue number OLA6J45, was originally provided with the the first of the six CDs, with space to house the other five as they were issued. The full set comprises TPGCD E1, TPGCD B2, TPGCD G3, TPGCD D4, TPGCD A5 and TPGCD E6. Single copies of 'E1' are sold out, but 'B2', 'G3', 'D4', 'A5' and 'E6' are still available from Ralph's webshop. 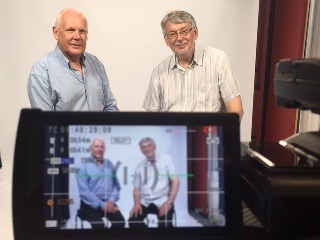 I was privileged to be invited to check the 'revised and expanded' text of the second edition of Mike Grenfell's McTell biography, and to interview the author for a YouTube video. Mike Grenfell (left) with John Beresford. 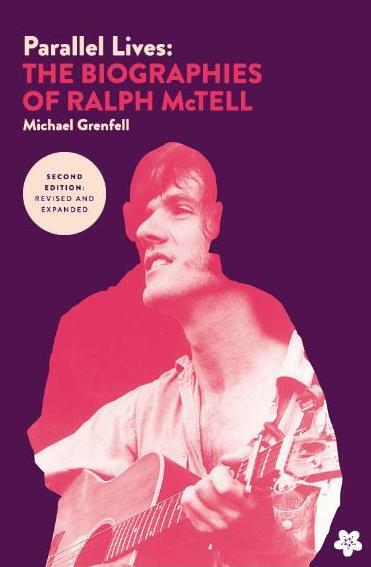 Parallel Lives: The Biographies of Ralph McTell, Second Edition, by Michael Grenfell, was published on 31 August 2017. The initial 50 numbered-and-signed copies quickly sold out - as did the subsequent reprint . See Pomera Press for current availability. 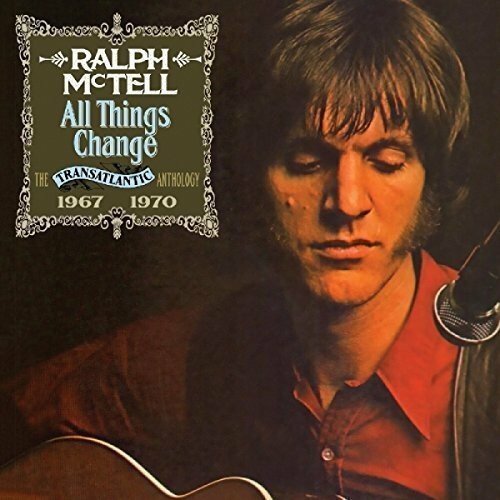 "All Things Change - The Transatlantic Anthology 1967-1970"
Cherry Tree Records has released a double CD collection of every track Ralph recorded for the Transatlantic label at the start of his career. The 51 tracks comprise Ralph's first three albums Eight Frames a Second, Spiral Staircase and My Side of Your Window; the Revisited compilation; his first single; plus two tracks that were not released at the time. See Trackin' Back for the track list. Ralph has posted sad news on his website regarding Donard Duffy's brother, Mark, who tragically died with all the crew when their air sea rescue helicopter was lost off the Irish coast on 22 March 2017. If you would like to send a message to Donard, please send it via Leola, to this email address . Ralph's page includes a link to the RNLI for those who would like to make a donation. 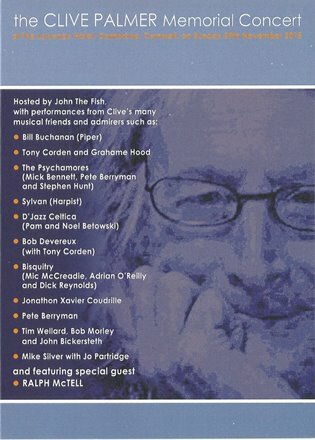 "The Clive Palmer Memorial Concert"
A DVD of the 2015 memorial concert for Clive Palmer is available now from Mic McCreadie. 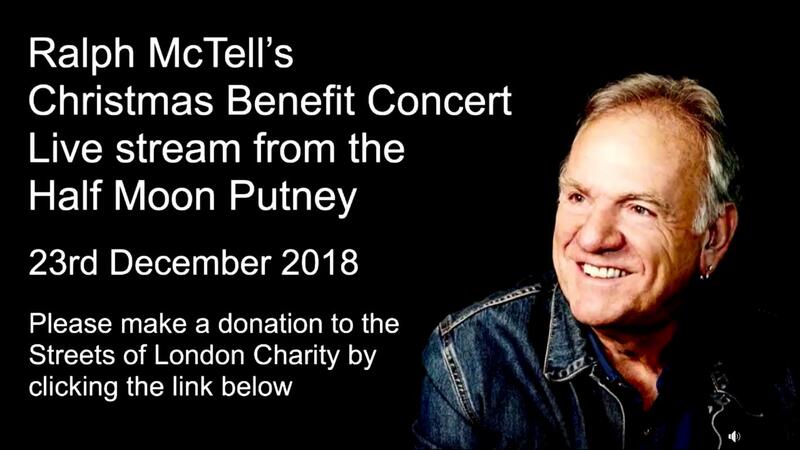 It includes performances by Ralph, Pete Berryman and others. Ralph sings Walk Into the Morning. "Songs For Six Strings 6th - E"
The sixth and final 'string' of Ralph's "Songs For Six Strings" boxed set, representing the '6th - E' string, is on sale in Ralph's webshop. Single copies of the first CD, for the '1st - E' string, are now sold out - but see Update. Single copies of the '2nd - B', '3rd-G', '4th - D' and '5th - A' strings are still available. 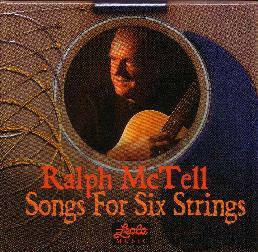 Together the six CDs, one for each guitar string, present 36 live recordings of McTell songs. The CDs are also available at Ralph's gigs but not from other outlets. * Ralph's grandchildren Isabelle and Louis joined Ralph on stage to sing 'The Things You Wish Yourself' at Cadogan Hall in December 2009. ** This live version of 'Kenny the Kangaroo' was released on a vinyl single in 1990. 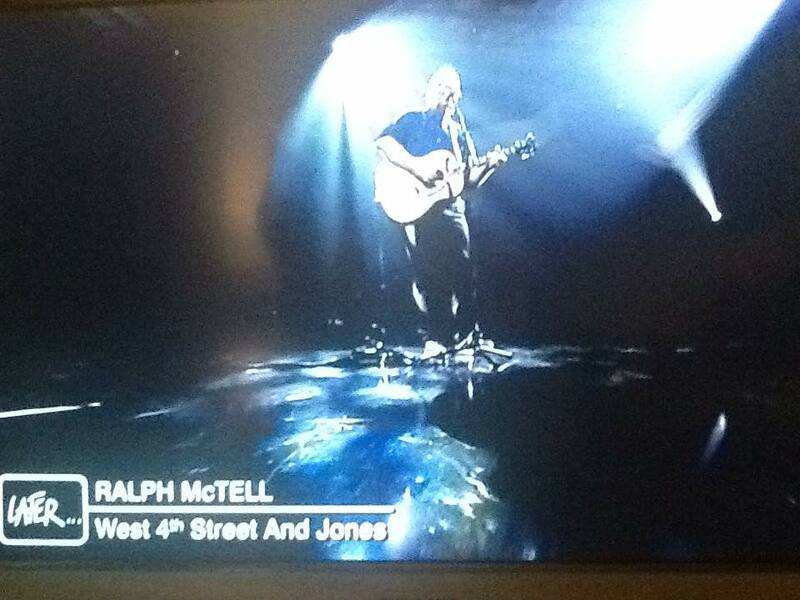 Ralph first used the 'Songs for Six Strings’ title in 1996 with the release of a CD ‘recorded live straight from the desk’, somewhat intriguingly called ‘Songs for Six Strings Volume 2’. 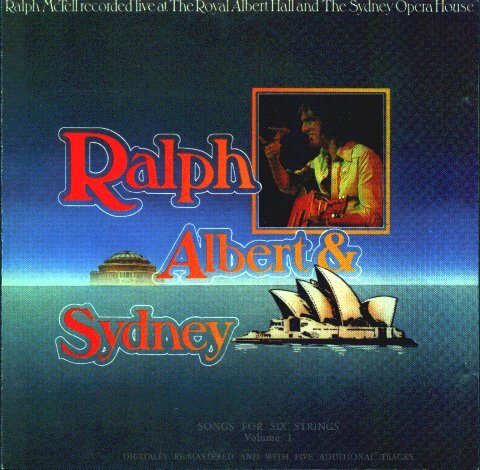 The mystery was solved the following year with the reissue on CD of Ralph’s first ‘live’ LP from 1976, ‘Ralph Albert & Sydney’, as ‘Songs for Six Strings Volume 1’. Next, the title was used for Roger Brown’s book of tab and notation transcriptions of Ralph’s songs and tunes, which was first published in 2002. 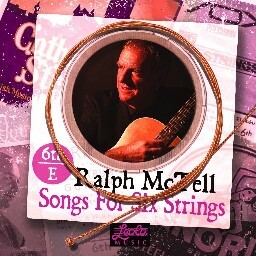 Finally, Ralph has now issued a 'Songs for Six Strings’ boxed set of six CDs of live performances, each CD representing one of the six strings of Ralph’s guitar. Issued annually from 2011 to 2016, each CD comprises six live takes from recent concert performances. In 2001 we ran a website poll to find which songs folk would like to feature on future ‘Songs for Six Strings’ releases. The poll resulted in 50 titles being suggested, many with specific concert performances in mind. Remarkably, about half of the suggested titles have now appeared on audio or video releases – for details, see Songs for Six Strings Poll 2001 – The Results. A second poll was started in 2011 specifically for suggestions for the boxed set. With the release of the 6th and final boxed set CD in 2016, this poll is now closed. See Songs For Six Strings Boxed Set Poll for the suggestions - and, crucially, which of them feature on the six CDs. Me: It's a Journey worth Travelling, Man. Lesley: Now this has started! Joe: And once a year Granny takes a trip! Linda: Oh no, I will have to think again. Robin: I'd love to contribute to this but any effort from me will make me look like a Clown. David: Better than looking like a factory girl. Liz: Ok for my next effort. . . In England 1914 I met Naomi, a Girl from the hiring fair, at the fairground, where we watched Maddie dancing to the Maginot waltz. The Easter Lilies were in bloom under the silver birch and weeping willow. After rain, with the river rising we saw the barges sailing down stream. Although she was a sweet mystery to me in some way I loved her but they were words I couldn't say. I just hope she lets me down easy and waits until the snow comes. Jean: I think that you win hands down!! Well done. 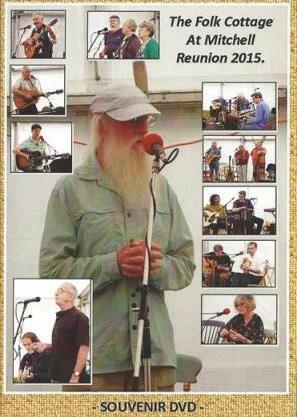 "The Folk Cottage at Mitchell Reunion 2015"
A DVD of the 2015 Folk Cottage Reunion is available now. It includes performances by Ralph, Wizz Jones, Pete Berryman and others. For details please email Mic McCreadie. Ralph sings Hesitation Blues and duets with Wizz on Honey Babe. "About Time" is on sale in Ralph's webshop. 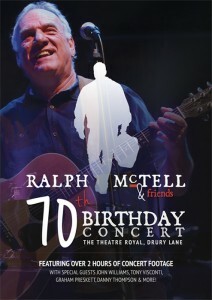 Ralph's 70th birthday concert at the Theatre Royal in London's Drury Lane was filmed and is now available on DVD from Ralph's webshop. For the set list see the Fans' reviews page. Leola Music has reissued "The Unknown Soldier" CD with two additional tracks - the title track recorded live at Ralph's 70th birthday concert, and a CD-Extra video of that performance. The original four-song EP was released in the centenary year of the start of the first world war but already anticipating its end four years later. Ralph says in the CD insert, "These songs written over the fifty years of my career are an attempt to evoke the final loss of innocence we experienced as a nation". The Unknown Soldier - CD-Extra video recording of the Drury Lane performance. The CD-Extra video is a 'hidden track' that will play only on a PC or Mac. It plays best if you copy the file to your hard drive. 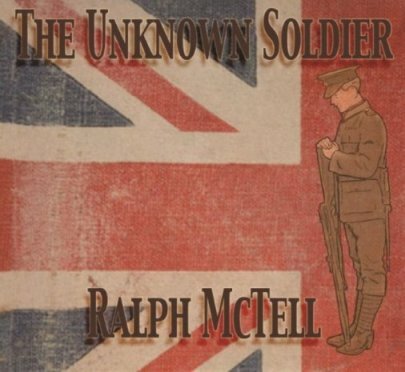 "The Unknown Soldier" is on sale in Ralph's webshop. 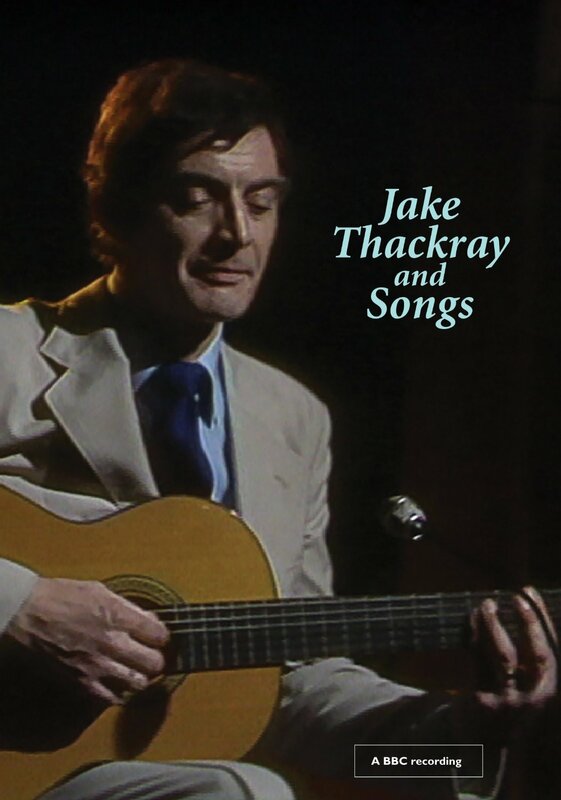 The Jake Thackray Project has released a DVD of Jake's 1981 BBC TV series 'Jake Thackray and Songs', which includes a guest spot by Ralph. The DVD is available from Amazon. and a snippet of the audience joining in on Streets of London. 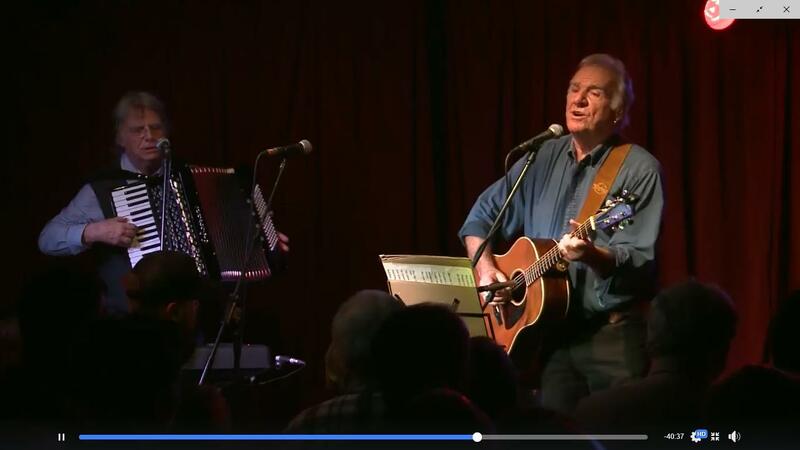 Ralph and Jake had appeared on the same bill in folk clubs and several TV shows, and, when Jake died in 2002, Ralph wrote this tribute. 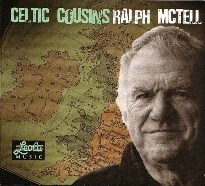 Ralph released a CD of Celt-themed songs to coincide with his 2014 'Celtic Cousins' tour. It was available at the gigs and is now on sale in Ralph's webshop. 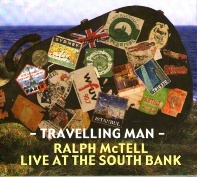 Leola Music Ltd has repackaged the "Travelling Man" live set, recorded at the Purcell Room in 1998. The running order of the songs has been adjusted to match the actual performance. 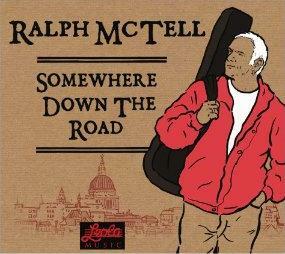 Sub-titled "Ralph McTell Live at the South Bank", the double CD is on sale in Ralph's webshop. 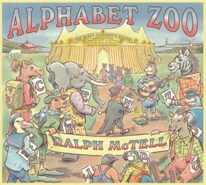 "Alphabet Zoo" has also been repackaged, with a new cover designed by Peter Thaine, and the CD re-released for a new generation in the 30th anniversary year of the ITV programme. The CD is on sale in Ralph's webshop. 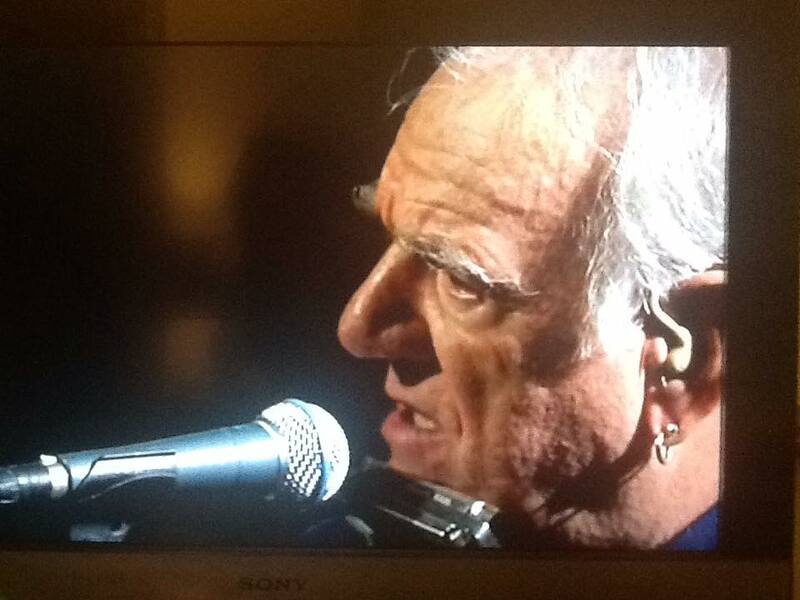 Ralph gave a delightful interview-with-a-difference at Trinity College, Dublin, in November 2012. Ralph had been invited to be the first subject of the Arts in Education Research Group’s ‘Artist Biography Project’. Interviewed by music education lecturer Marita Kerin, Ralph illustrated his responses with anecdotes and songs from his life. The whole event was filmed and you can see it on You Tube. Ralph says, “Unfortunately the lighting was poor but the evening was special.” It lasts over two hours, so pick a quiet time and enjoy! Ralph's has recorded a set of guitar instrumentals, and the resulting CD is on sale in Ralph's webshop. 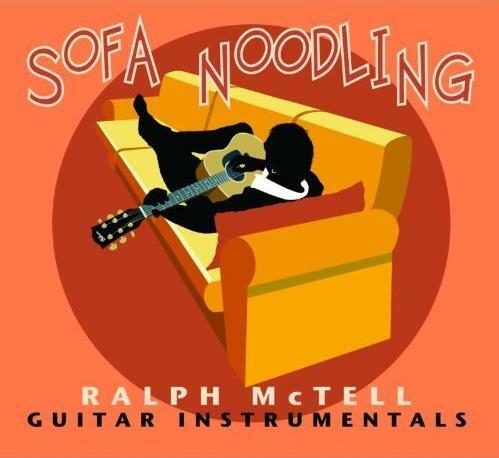 Ralph had a sofa installed in the studio so he could 'noodle' on his guitar as he does at home. The result is a collection of eleven newly-recorded tunes plus a live take from a recent concert performance and two tracks from earlier albums. 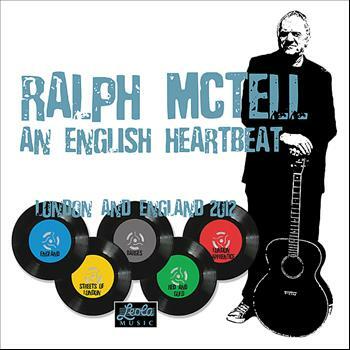 "An English Heartbeat - London and England 2012"
Ralph compiled a download only album in celebration of Bob Dylan's 70th Birthday in 2011. 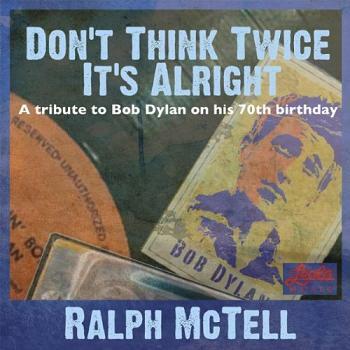 "Don't Think Twice It's Alright" is available from iTunes, Amazon and other download sites. Three of the songs were newly-recorded for this release. The title track featured on BBC Radio 2's "The Freewheelin' Bob Dylan - A Folk Tribute". When you download the tracks, you will find that three of them have the wrong name. Track 2 is labelled 'Ramona', track 3 'Gates of Eden' and track 4 'Girl From The North Country Fair'. You can safely rename them in your iTunes or music folder. This 2010 studio CD is on sale in Ralph's webshop. Thanks to Iconic Music for this image. 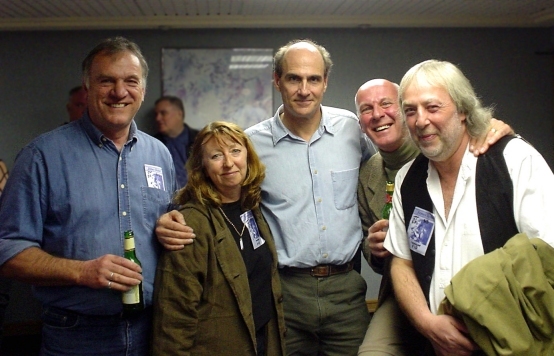 From left to right the shot features Ralph, Jacqui McShee (Pentangle), James Taylor, Dave Pegg (Fairport) and Gerry Conway (Fairport and Pentangle). Please note this picture is © Rob Beattie. Please do not reproduce this image anywhere else without permission from Rob. Check out Rob's Web Site.